At EM Training Solutions, we understand the need to avoid down times; that's why we offer flexible Weekend CITB SMSTS Training! The first point of contact in an emergency is the manager; our Level 3 First Aid courses can be combined with your SMTS Course to save time and money! Get your Construction Management career off to a flying start with our SMSTS course. An NVQ Diploma Level 6 in Construction Site Management will certainly get you the much sought after Black Managers' CSCS Card; we've got that covered! And, you will certainly be eligible for a discount on our NVQ courses once you book our CITB SMSTS Course; you could also be eligible for government funding ; No harm in asking! We are confident that our services provide a quick and easy process, at an extremely affordable price. The CITB SMSTS training ensures that you have in-depth knowledge of Health and Safety management within a Construction Site Management role. Our five-day CITB SMSTS course is more in depth than the two-day CITB SSSTS course for Construction Site Supervisors. The CITB SMSTS course covers relevant Health and Safety legislation within in a construction environment and highlights the Construction Site Manager's Health and Safety obligations. Candidates will also take an SMSTS multiple choice test at the end of the course, in order to ensure they have fully understood the content of the CITB SMSTS Course and are able to implement their newly acquired Health and Safety skills in their day-to-day construction role. Our CITB SMSTS training is perfect for project managers, site managers, supervisors, proprietors of small to medium sized companies and client based personnel. The CITB SMSTS course runs over five days and can be delivered either on a weekly basis or over 2.5 weekends. 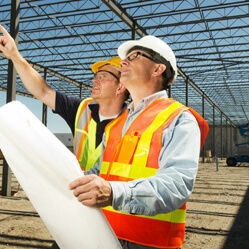 Whatever construction qualification you require, we are sure to have a training course to cater to your needs. Group bookings also qualify for discounts, and we are always flexible enough to accommodate any size of booking. Get in touch now for more information about booking your CITB SMSTS course by clicking on the buy button below! Run over the weekend or on day release, this course is intended for those that have or want the responsibilities for managing staff on construction sites and are required to learn about Health and Safety legislation.